Fulfill Purchase Fantasy, Drive Growth From Customer Retention. Minimising the gap between brand promise and post-purchase experience can drive exponential value. With more possible touch points than ever before, how can brands ensure they deliver on their promise? As customer relationship management becomes increasingly important for businesses, mapping and aligning with the customer life cycle (CLC) is the most effective way to structure marketing efforts. Implementing the CLC on an organizational level ensures the customer vision at the moment of purchase is closely aligned with the post-purchase experience. While 87% of senior marketers endorse the CLC model, only 7% have achieved leader status in applying it. Social media has driven business into the age of the customer, where ongoing engagement throughout the full customer journey is now necessary to achieve marketing success. From prospect through to the post-purchase stage, smart CMOs are recognizing that continuous support is necessary to drive the growth and success of their marketing efforts. We’ve already established the importance of cross-channel social engagement in maximising customer lifetime value. Only 3% of companies are succeeding at cross-channel engagement, but this is only part of the problem. The role of social media in the CLC extends further than being a platform to deliver customer satisfaction; CMOs must grasp the full significance of social media in the customer journey – both before and after purchase – to be able to utilize CLC-driven marketing, and accelerate the growth of the business. To map the impact of social in the CLC marketing model, we can begin at the moment of purchase. Enticing a customer into a purchase decision involves presenting a brand promise; the customer bases their decision on a perceived idea of what the brand will deliver, and what their brand experience will be. This is the purchase fantasy. For marketers, this anticipation is a huge opportunity, but according to Jillian Falconi, VP of Demand Generation at Falcon Social, it also exposes the brand to certain risks. Social media enables this discovery mechanism. If a customer’s post- purchase experience does not fulfil their purchase fantasy, they will be unlikely to act as a brand advocate on social, stunting the referral process. They may leave negative feedback in a public forum, instigating negative brand discovery. Brands must strive to align their promise with their brand reality. Investing in the alignment of brand promise and brand reality will increase the likelihood of customer loyalty, and is ultimately cost-effective. It is more expensive and time-consuming to measure growth simply by the acquisition of new customers, or by total market share. CMOs should instead focus on mapping the CLC and allocating budget according to the customer’s priorities in each phase of the life cycle. This will pave the way for great customer engagement, and better amplification of marketing efforts. In my opinion, CMOs should prioritise a holistic approach to CLC-driven marketing. Social media has empowered customers, and it’s important to be aware of the impact that influence has throughout the entire marketing structure, not just its impact in social media management. When making budget decisions, consider allocating a higher investment according to most demanding phase of the life cycle, rather than by evaluating the performance of each marketing channel. A simple task with enormous implications. 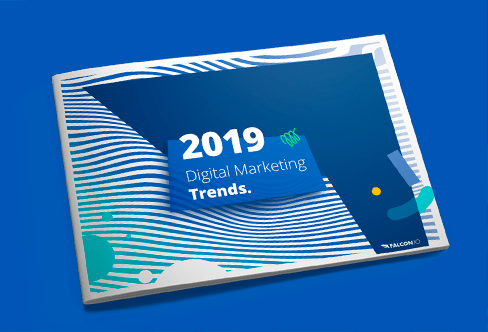 Only 23% of marketing leaders succeed at ensuring their customers have a smooth transition between each phase of their life cycle, across all channels and touchpoints. By identify what each phase of your customer’s journey is, and which marketing channel is most influential within each phase, you can pivot your marketing structure to be more efficient. Going back to the moment of purchase, and the notion of purchase fantasy: identify what drives your customers to convert, and how to optimise for rediscovery and repeat purchase. Where the linear marketing funnel prioritises measuring new customer acquisition and conversion rate, CLC-driven measurement should focus on measuring conversions to the next life cycle phase. Adjusting budget and resource allocation by life cycle phase, rather than marketing channel, will break down silos within your organisation. Encouraging teams to align across skill sets will breed a more efficient marketing structure.